Living with hepatitis C is difficult enough already. Knowing that fantastic treatments exist but not being able to afford them makes it only worse. While informational sites point out to numerous hepatitis C resources to try and support programs promise wonders, we are going to go through each of these offers in detail and try to find out what is the truth behind these promises. Big Pharma Support: Too Good to Be True? Probably one of the most well-known support programs is MySupportPath by Gilead, the manufacturer of Sovaldi®, Harvoni® and now Epclusa®. Epclusa® support program has now replaced that of Sovaldi®, and for a very good strategic reason explained later. The conditions for Harvoni® and Epclusa® programs are very similar, so we’ll just go through that of Harvoni®. The tagline claims that ‘eligible patients may pay no more than $5 per co-pay’, but attention, the keywords there are “eligible” and “may pay”. First of all, you are not eligible if you are enrolled in a governmental insurance program like Medicare or Medicaid. But even if you have a private insurance and are eligible for MySupportPath, it only covers “up to a maximum of 25% of the catalog price of a 12-week regimen”. Sure, it can be still a very good deal, and even more so for Gilead! Just think about it, if you couldn’t pay your co-pay and didn’t get your treatment, your insurance would not have paid their part. So, providing you with a 25% off helps the company to sign a hefty deal. In many cases this can be a very good solution for the patient as well, but one should be also ready for nasty surprises. Ann, one of the patients who had a Gilead coupon and a three-month treatment with Harvoni® prescribed, was first promised that she only had to pay $5 per month. On her next trip to the pharmacy, she was told that her coupon was used up and that she’d have to pay $3,800 out of pocket for this month and $14,500 for the last month. In Ann’s case, the insurance had a 30% copay for prescriptions, while Gilead coupon covers a maximum of $23,500. If her copay were 35% or 40%, the surprise would have been even more unpleasant. And indeed, in order to qualify for the majority of needymeds support programs, the patient’s income should be below 400*FPL. Another famous hepatitis C drug is simeprevir, sold under brand name Olysio®. The JanssenCarePath program actually looks very good. “Pay no more than $5 per fill”, the slogan says. The program is actually very similar to that of Harvoni®: same requirement to be commercially insured, meaning that patients using Medicare, Medicare Part D, or Medicaid aren’t eligible, and a slightly more generous limitation of maximum benefit ($50,000 per calendar year). The real problem is that simeprevir is pretty much useless if used alone. The standard combination treatment includes simeprevir, sofosbuvir and sometimes ribavirin. However, now when Gilead’s SupportPath for Sovaldi® has disappeared from their website, who can afford paying full price for sofosbuvir, even if simeprevir was totally free? The same is true for a very efficient daclatasvir-sofosbuvir combo. The patients now should either suffer from severe side effects if they combine daclatasvir (Daklinza®) with interferon and ribavirin, or use Gilead’s Epclusa® instead. No longer giving away sofosbuvir coupons seems like a smart move, doesn’t it? Viekira®: Spend $32,000, get $100 off! Finally, Viekira Pack® Co-Pay Card covers up to 25% of the catalog price, while the patient is responsible for the first $5. Just as Gilead’s programs, the card can be a lifesaver, but it is not really helpful if your insurer is Medicare or Medicaid. And if your co-pay is over 25% and you don’t want to abandon your treatment in the middle of it, you’d better figure out how you’re going to pay the rest. Additionally, the patient treated with Viekira Pack® can get free ribavirin if needed. Such a sweet gesture from AbbVie: spend $32,000 and get $100 worth of drugs for free. But certainly, after you’ve emptied all your credit cards to buy HCV antivirals, every penny counts! Hepatitis C Generics: Fair Deal? Long story short, the support programs are numerous, but the real affordable options are scarce. No wonder that more and more Americans seek other options abroad. The best hep C generics so far are the ones produced in India: not only the research shows they’re just as effective as brands, but they are also produced under license and their origin can be easily tracked. A full 12-week-treatment course now costs less than $1,100 – a price that’s difficult to beat. The only downside is that one actually needs to travel to India and see a doctor. These costs add up, so the entire medical trip can actually cost you around $3,500-$4,000. Indian pharmaceutical companies follow the trend very closely. 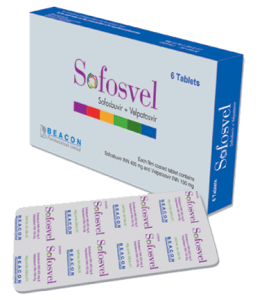 Even sofosbuvir-velpatasvir – a generic twin of Epclusa®, which only came out in the U.S. in June this year – is going to be manufactured in India in early 2017. This generic version, like sofosbuvir and ledipasvir, is also going to be produced under licensed agreement granted by Gilead. Even speedier are the countries that don’t recognize patents and where licenses are not an issue. Beacon Pharmaceuticals Ltd., a large generic manufacturer based in Bangladesh has finished its reversed engineering and is already producing a copycat version of Epclusa®.